The Institute of Contemporary Arts is planning to appoint a managing director to work alongside its newly appointed artistic director Ekow Eshun. 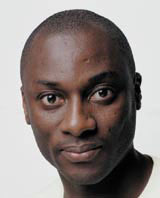 Eshun, a 36-year-old broadcaster and journalist, was appointed as artistic director of the ICA last week, following the departure of Philip Dodd last year (DW 22 July). But unlike Dodd, the founder of Bug Consultancy and former editor of Arena magazine will not oversee the ICA’s financial management when he takes up his post on 2 May.